I almost love the convenience and quality of my camera phone as much as my "real" camera. What's not to love about being able to capture a moment like this in an instant? That bug is pretty amazing! My phone has a terrible camera, but I still love the pictures because they capture some fun random moments in our life. Wow, that was a great capture. The boys looks so pleased too. 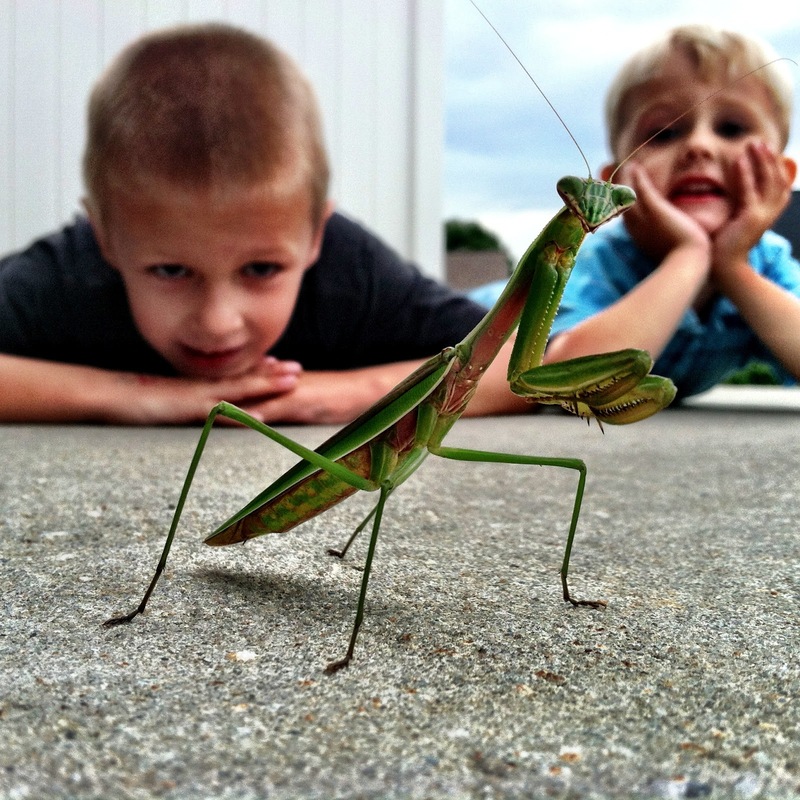 That is the coolest picture ever with the praying mantis. We found three in our yard today!